There were two bits of exciting cast news revealed this morning by deadline.com involving two of my favorite actors — Julianne Moore and Scott Speedman. Three-time Oscar nominee Moore is said to be “in talks” to play President Alma Coin in the third and fourth movies of The Hunger Games series. (Mockingjay, the third book in the trilogy, will be split into two films.) That the Hunger Games movies continue to attract high caliber actors like Moore, Phillip Seymour Hoffman, Donald Sutherland, Jeffrey Wright and Stanley Tucci, not to mention Academy Award-winner Jennifer Lawrence, certainly helps lend them a lot of credibility. 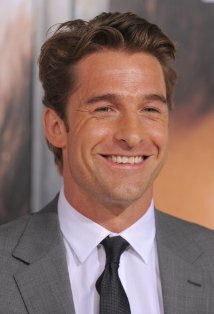 On the small screen, Felicity star Scott Speedman has been set as one of the leads in Ryan Murphy’s new pilot Open for HBO. The show, from the creator of Glee and American Horror Story, is described as “a modern, provocative exploration of human sexuality and relationships.” Speedman will play a “handsome [EDITOR’S NOTE: Duh.] sports marketing executive,” with Wes Bentley set as the other male lead. Open comes from the creator of Glee and American Horror Story, who is also directing a film version of Larry Kramer’s The Normal Heart for the premium channel, starring Mark Ruffalo, Julia Roberts, Matt Bomer, Jim Parsons and Taylor Kitsch. Without knowing anything more about it than the brief description above, I hope this show makes it to air — I’ve been swooning over Speedman since he started whispering to Felicity back in the late 90’s, and was disappointed that his last television foray (Last Resort) didn’t end well. Are you as happy as I am about Moore and Speedman’s new gigs? Let me know!